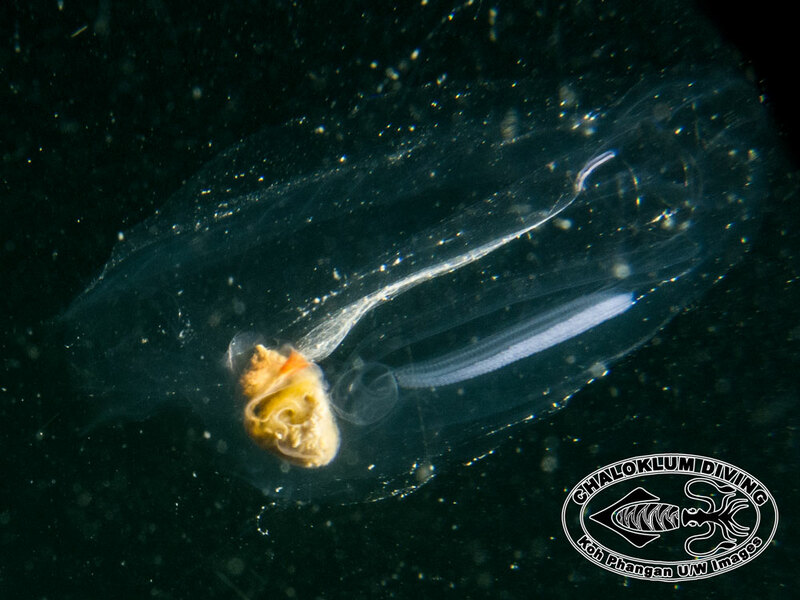 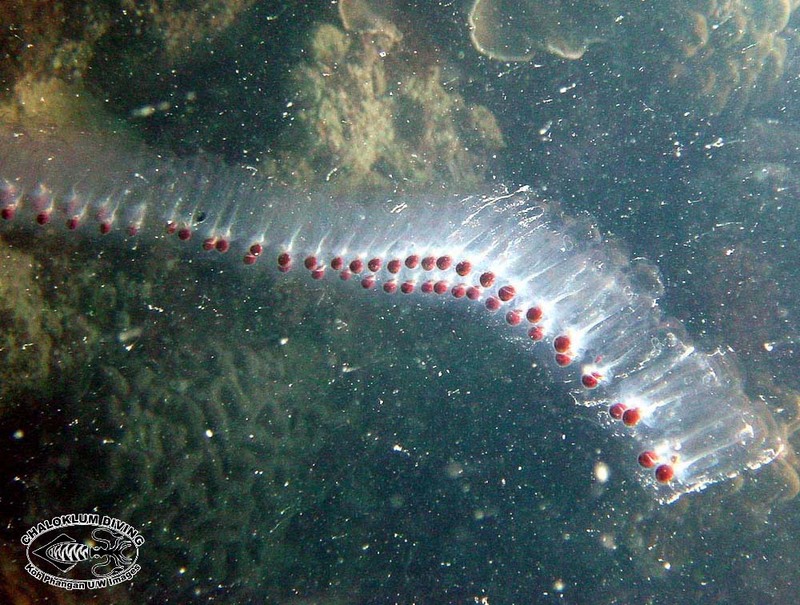 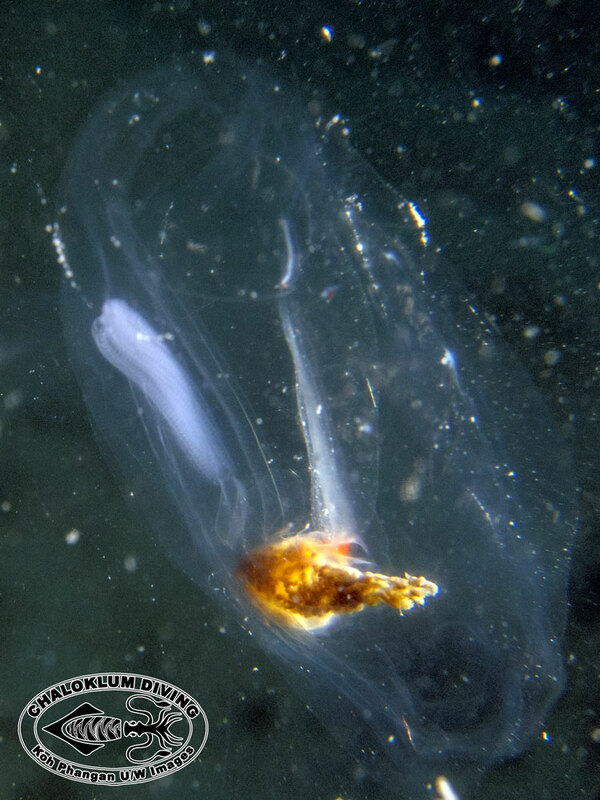 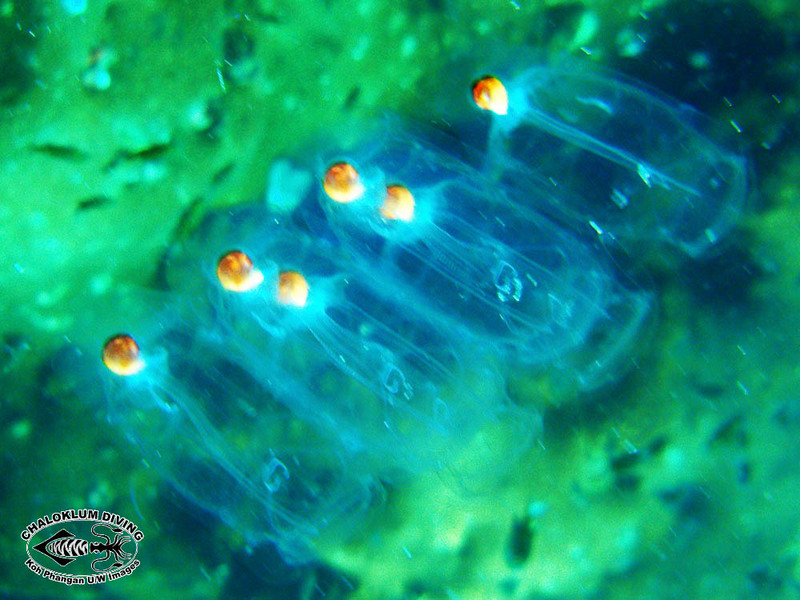 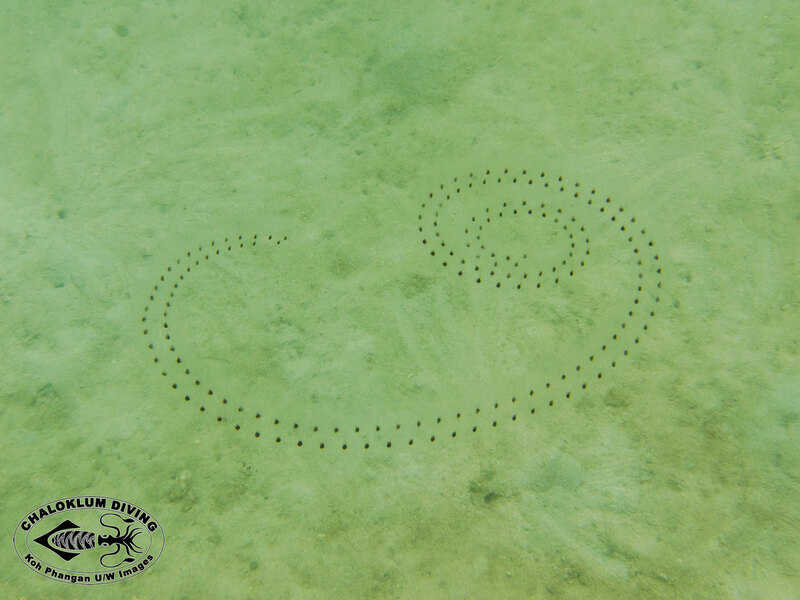 Salps may be encountered seasonally at all the dive sites around Koh Phangan. 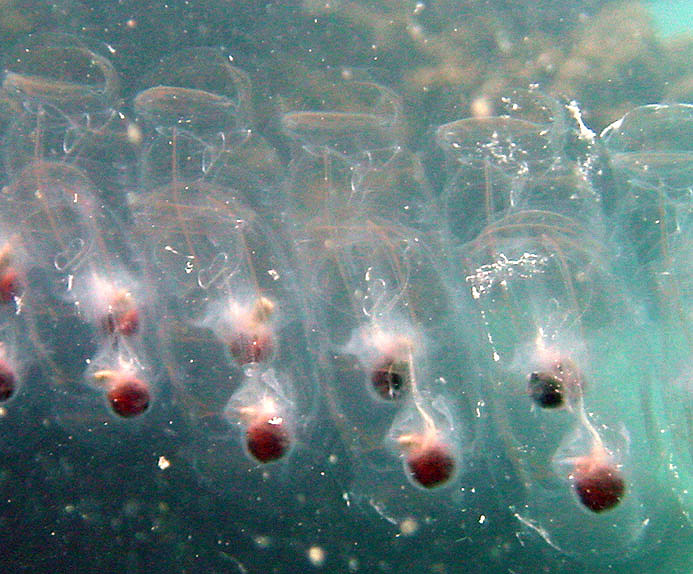 They start off as long chains which break up with time into single jelly-like units. 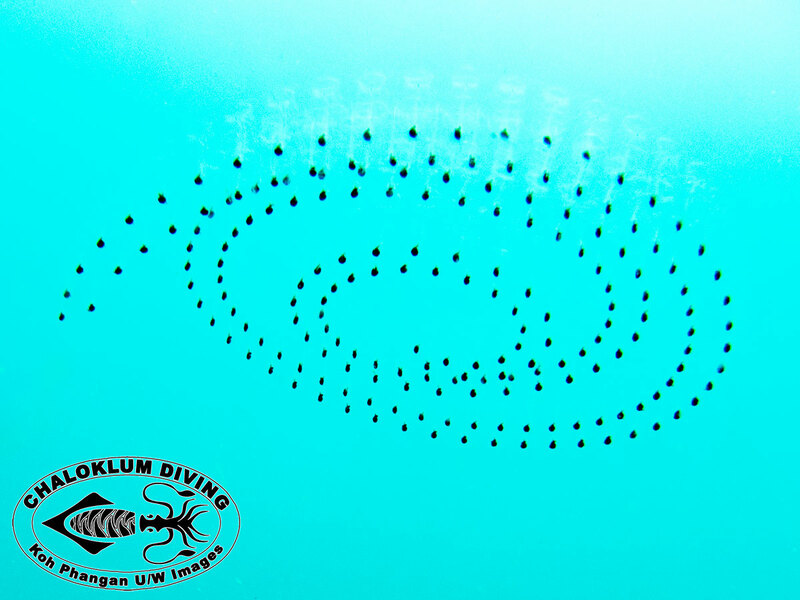 If you happen to be scuba diving or snorkelling with them around don’t worry, they are harmless!